What exactly is Diwali? Who celebrates it and why is it so special to those that do? These are the questions we at School of Wok posed to Indian chef and friend Ivor Peters; aka The Urban Rajah. Read on to find out why this holiday is such a personal one for Ivor, and why he is so excited to share his celebrations with School of Wok this November. 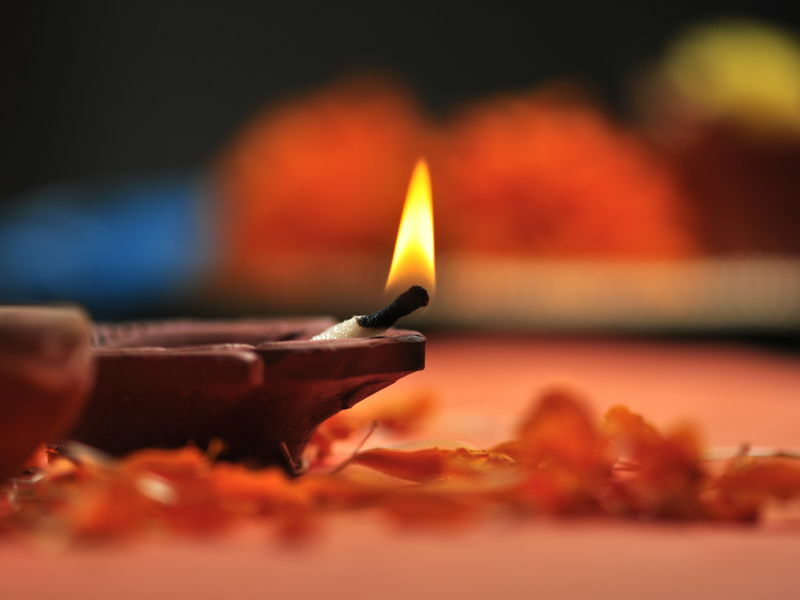 ‘Known as the Festival of Lights, Diwali is a five day festival celebrating the victory of light over darkness, good over evil, hope over despair and knowledge over ignorance. My goodness couldn’t we all do with a little more light in our lives? My experience of Diwali as a kid was spent in and out of friends’ houses comparing and tasting snacks and deliciously rich sweetmeats….imagine a gourmet version of ‘trick or treating’. Except every threshold you crossed you never left without being fed to the gills! It’s an unwritten rule in Indian households, written on the hearts of the hosts…never let a guest leave until they’re tapping the floor with food submission. And that we were. As children we tucked into savoury morsels, followed by Indian fudge (mithai) and indulgent puddings swished down with masala chai. It all seemed vital in fuelling our growth. The savoury proceedings, for me, captured the very essence and definition of finger food. Vegetable pakoras, samosas, aloo tikki (spiced potato cutlets), kachoris (lentil puffed bread) left you licking your chutney-stained fingers for more. In my opinion, Diwali is the SAS of Indian food; Sweet And Savoury. It’s truly a five-day snack-a-thon. My childhood Diwali was crowned with a fireworks display in back gardens, where friends’ Dads would precariously place rockets in milk bottles, light the taper, then run and hope! The Catherine Wheel would fizz and pop with demoniac speed, promising to launch into orbit. Bangers would crack the air like a scene from a Western shoot out. As the men gathered their courage, the fireworks grew even more daring some following a horizontal trajectory rather than a vertical one- ‘health and safety’ long forgotten.